Aspiring rocket scientists can now export their Kerbal Space Program creations into reality through the magic of 3D printing. Kerbal Space Program isn't easy. Building a functioning rocket-ship and shooting it into space is a test of one's emotional dexterity. So, once you've found that perfect mixture of apparatus and artistry, you'll probably want to immortalize your handiwork. Thankfully, the developer behind Kerbal Space Program has partnered with Eucl3D to turn your in-game creations into real-life works of art. Eucl3D is a 3D printing company that handles memorabilia creation for independent video game developers. The company is currently working with developer Super Evil Megacorp to release 3D-printed versions of the characters from Vainglory but announced a partnership with Kerbal Space Program during a recent AMA. If you do plan to print any of your Kerbal Space Program creations, there are a number of guidelines that you'll need to follow. Launch clamps, long girders, struts and fuel lines have a tendency to add weakness to the 3D-printed version. But if you're not sure about the stability of your design, Eucl3D will look it over and suggest changes. The final product will cost $99, $140, or $200, depending on the size of your ship. And your order should arrive within four weeks. Kerbal Space Program is still technically in beta, but it's already developed an impressive reputation among scientists. In 2013 a handful of folks from Copenhagen Suborbitals and NASA's Jet Propulsion Lab were reportedly obsessing over Kerbal. Plus, Elon Musk said "Kerbal is awesome" during an AMA on Reddit. And these days, very few endorsements hold as much weight as Elon Musk's. 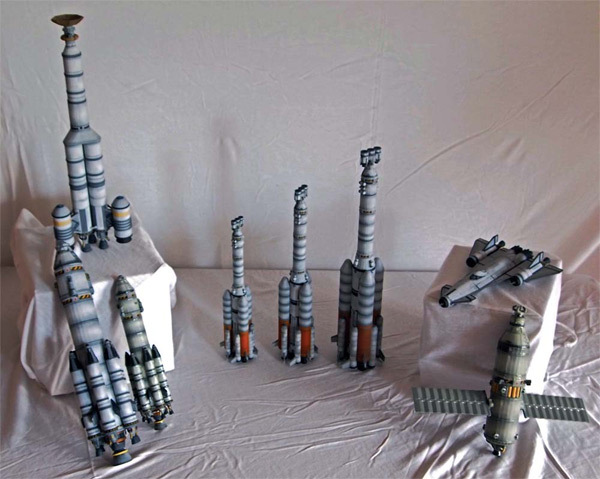 It'll be interesting to see which spacecrafts are deemed worthy of 3D printing. And it'll be even more interesting when a Kerbal space cadet inevitably fills their creation with gasoline and uploads the resulting disaster to YouTube.